What did the lucky few make of the movie’s early screenings? 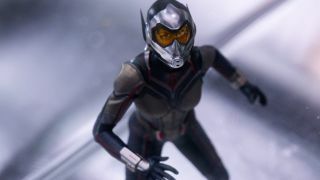 It may have all the makings of another pint-sized adventure, but there are several big reasons why you should go and watch Ant-Man and the Wasp. Don’t believe me? The first reactions to the movie are here and, if you were worried about Marvel Studios hitting a cold streak after Avengers: Infinity War, you can think again. As expected from Scott Lang and company, Ant-Man and the Wasp aims to bring the funny bone back to the MCU after Thanos broke our hearts. In fact, a big throughline for all the reactions thus far seems to be just how funny it all was. In fact, a lot of what made the original work seems to have translated well to the sequel. Case in point: Michael Pena rules. Again. Although, in what you could definitely read as a backhanded compliment, the stakes are far, far lower in Ant-Man and the Wasp, with nary a proper villain in sight. It won’t be a deal-breaker for many, but the hunt to find more than one fantastic MCU villain might just continue for a while longer yet. There are two things everyone wants to know about when it comes to each MCU movie: the Stan Lee cameo, and the post-credits scenes. I’ll get to the latter in a moment but there’s a slight tease below on what might be the best appearance from the man behind Marvel yet. …and as for those post-credits scenes. Yeah, so, they might be the most important ever? If reading the words below doesn’t make you tingle in anticipation then there must be something wrong. The Ant-Man sequel is just the first in a long, long line of new Marvel movies on the way - be sure to check them out.